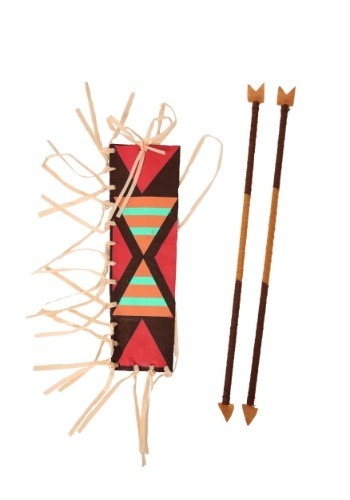 This Quiver and Arrow Set is exactly what you need to head out on a pretend hunt! No seriously, it has to be for pretend because this is just a toy, but it looks pretty good for a toy. Whether you're pretending to hunt rabbits or buffalo, it's the perfect way to feel like you could have been some kind of ancient provider without actually having to prove it. The wild game is plenty and now... you can just enjoy them from afar without harming them in any way! This quiver is twelve inches long. 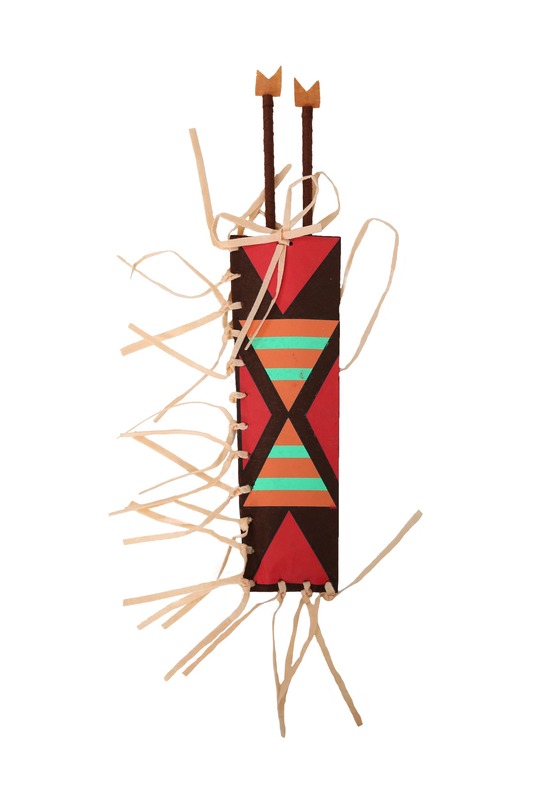 It is bright and cheerful with a geometric pattern in red, dark brown, orange, and turquoise. The sides are trimmed with long buckskin colored fringe. The set comes with two arrows. Both arrows are trimmed with a light colored faux leather brown and they measure sixteen inches long.